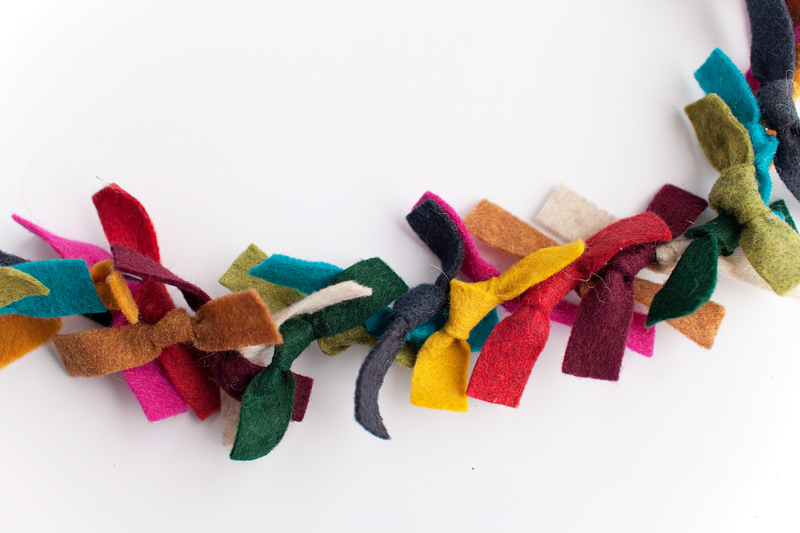 Last year I made a TON of this garland. 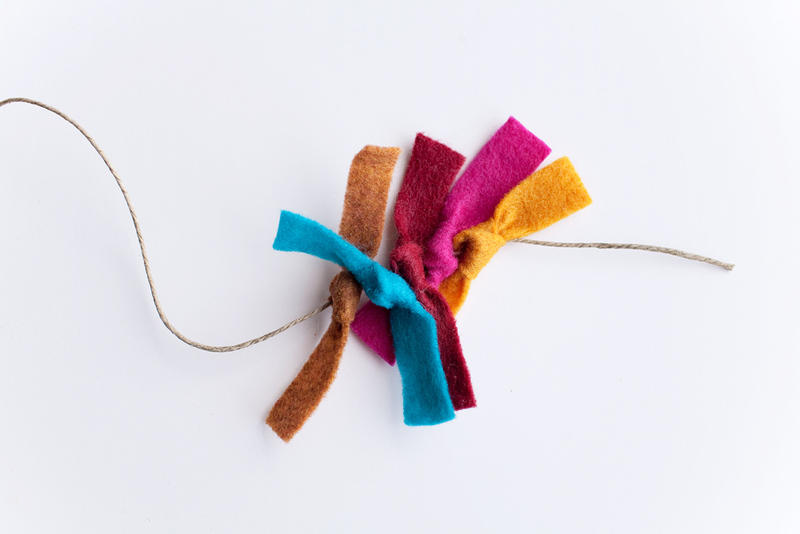 I saw a similar garland at Anthropologie and instantly fell in love. 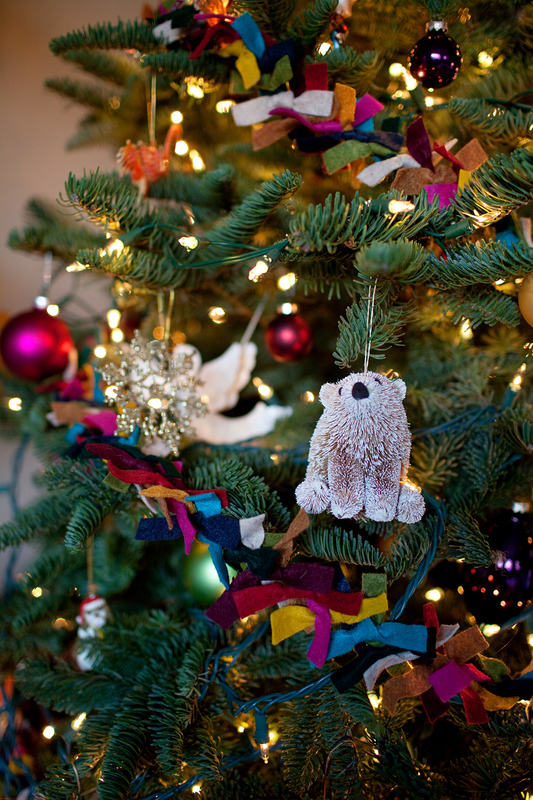 Their felt garland was a million times better than this one, but since I wanted to put it everywhere I couldn’t afford to spend hundreds on just garland. SO I decided to make my own :) This is probably the most simple DIY ever. Disclaimer: This is a time consuming craft ha ha my friends have joked about my positive outlook on how “easy” this project is. SO yes this project takes time, but it is a brainless craft. So pop on a movie and tie tie tie! Read the full tutorial after the jump. 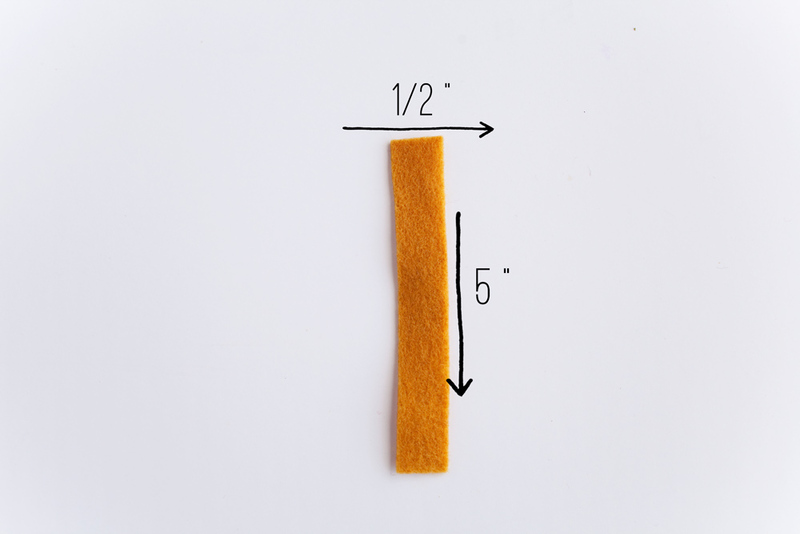 If you buy the felt squares the short side is 10″ long so I would just cut out 1/2″ sections and then cut those in half. Super simple. 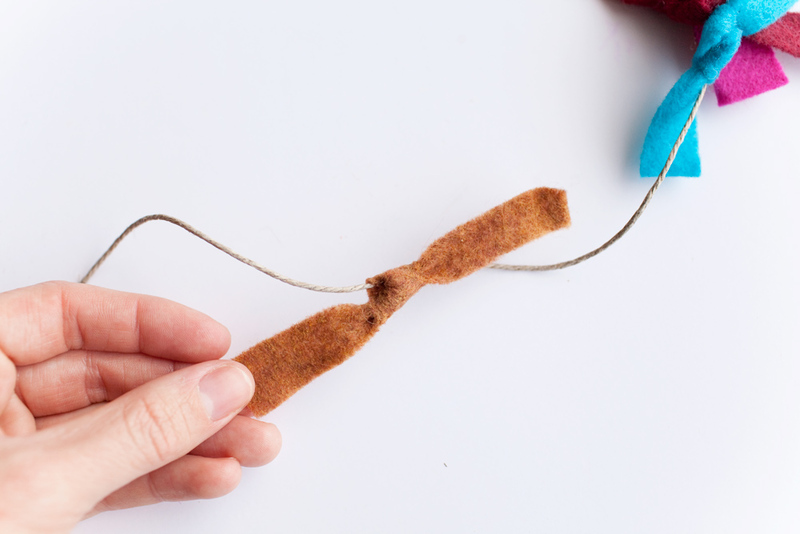 Then tie on the felt. 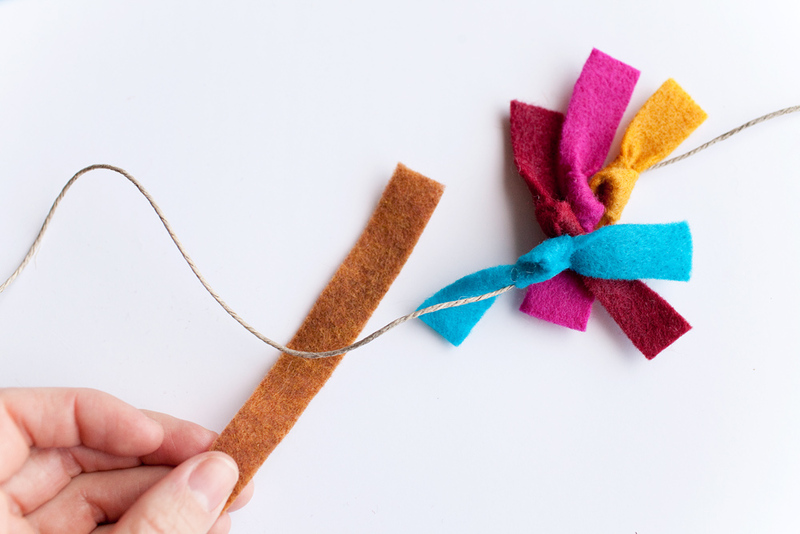 I would alternate the angle at which I tied on the felt pieces, because I wanted that messy close together look. When you tie on a few just scrunch them all close and tight and continue. How long did you make this and how big is your tree? I have been making Christmas stockings for almost 10 years and the kits are made by Bucilla. I have this huge bag of felt scraps that I’ve not thrown away and I kept telling myself I would find a use for the scraps someday. 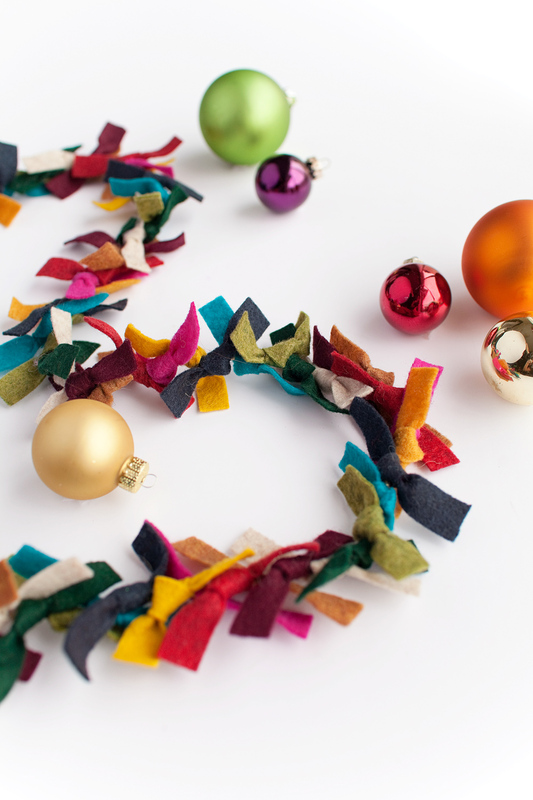 Well, that someday has arrived and plan on making some garlands in January. 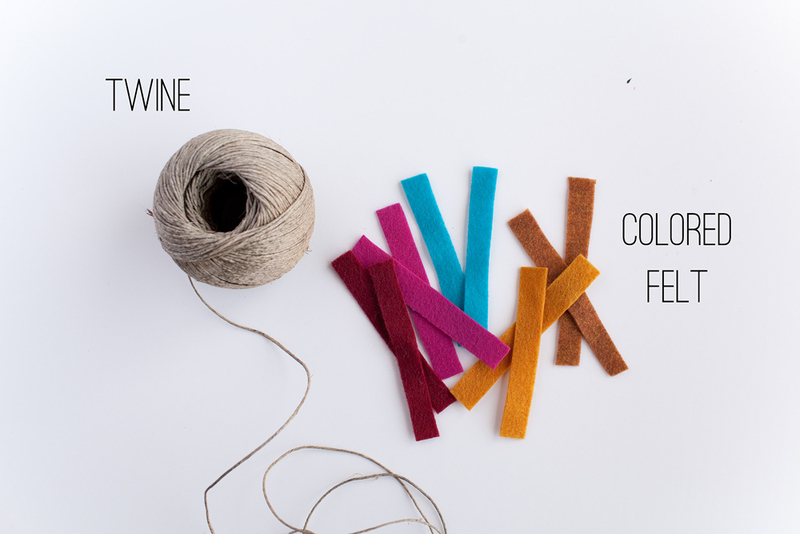 I’ve got 2 stockings to make before Christmas and my spare time will be devoted to getting the stockings made. 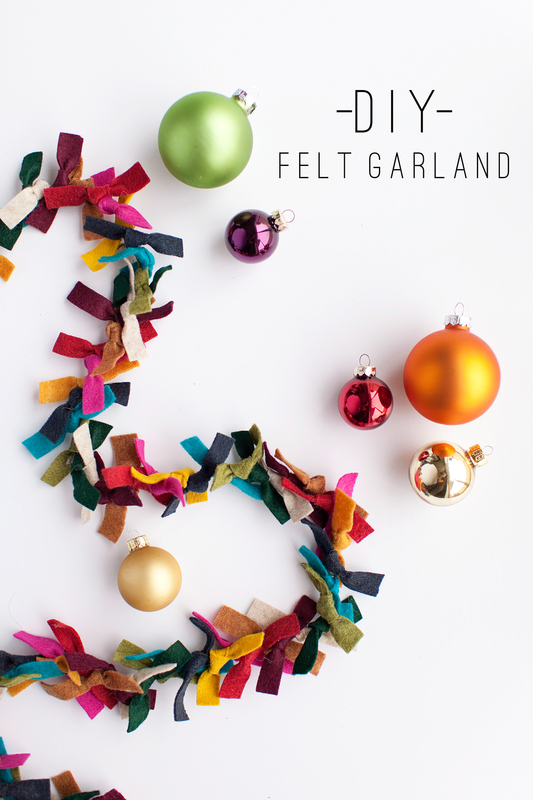 I’m also known for tweaking recipes and take artistic liberties with the stockings I make and have some ideas swirling around in my head to make the felt garland even more interesting and cute. How much felt did this take? I’m trying to figure out if it’s cheaper to buy felt by the sheet or by the yard. Thanks.